Capt. Edward Vernon “Eddie” Rickenbacker was one of the most famous American heroes to emerge from World War I. 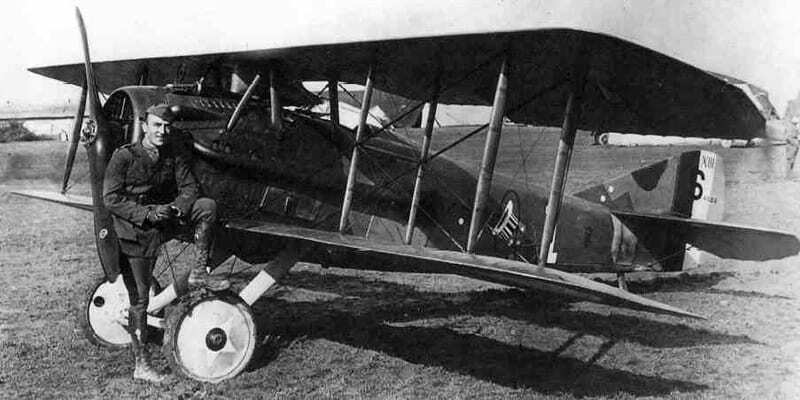 The leader of the 94th Aero (“Hat in the Ring”) Squadron, Rickenbacker became the country’s “ace of aces” with 26 aerial victories. He was awarded the Medal of Honor and a record ten Distinguished Service Crosses. A famous race car driver before the war, following his discharge he became an automobile executive, owner of the Indianapolis Motor Speedway, and later president of Eastern Air Lines. Shortly before America’s entry in the war, he left Eastern to be a special observer for the War Department. In the fall of 1942, he was sent on an inspection tour of air force facilities in the Pacific and to deliver a secret message to Lt. Gen. Douglas MacArthur. The trip was originally scheduled to begin on Oct. 20, but Rickenbacker and the crew, led by pilot Capt. William Cherry, Jr., were delayed a day after being forced to transfer to another B-17 when their original aircraft suffered mechanical failure. At 1:30 a.m. on Oct. 21, 1942, Rickenbacker, together with his aide Col. Hans Adamson and Sgt. 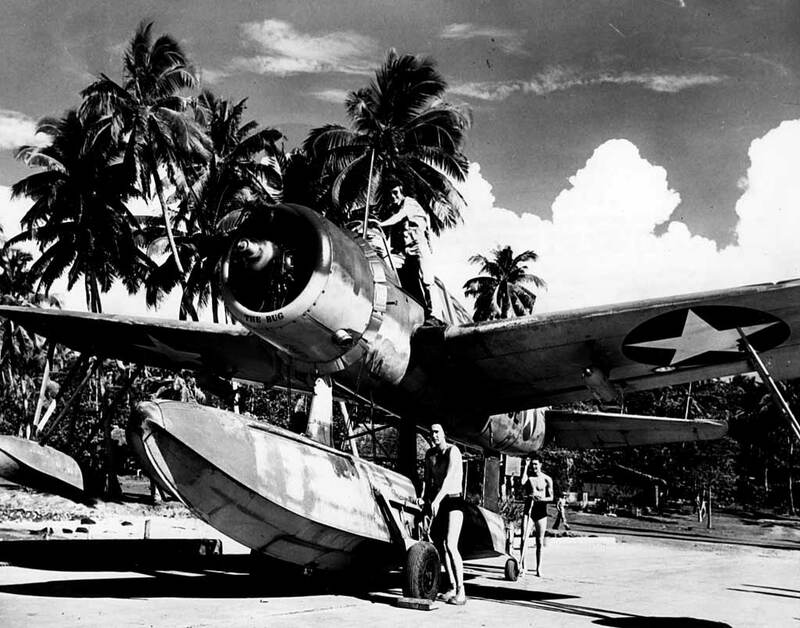 Alexander Kaczmarczyk, newly recovered from an illness and returning to his unit, took off from Hawaii for Canton Island, an atoll about 1,600 miles southwest of Hawaii. Scheduled to arrive at 9:30 a.m., by 10:30 they had not spotted their destination. Believing they had overshot, radio calls to Canton for directions proved useless, as the station there did not have equipment to give navigational bearings. Despite search efforts that included flying high, jettisoning excess cargo, running the B-17 on two engines instead of four to conserve gasoline, and other efforts, the crew was irrevocably lost. With about an hour’s worth of fuel remaining, everyone began preparing for a landing at sea. Despite a rough sea, Cherry was able to belly land the B-17 in a trough. It remained afloat long enough for the seven men to scramble out and get into three small life rafts. Unfortunately, in their haste to exit the sinking bomber, Rickenbacker later said, “We didn’t pay much attention to our rations.” They had no water and only four oranges that Cherry had stuffed into his jacket pocket. Adamson suffered a badly sprained back in the landing. Radio operator Sgt. James Reynolds had cuts on his hands and head. Kaczmarczyk had swallowed a large amount of seawater during their exit, making him sick. 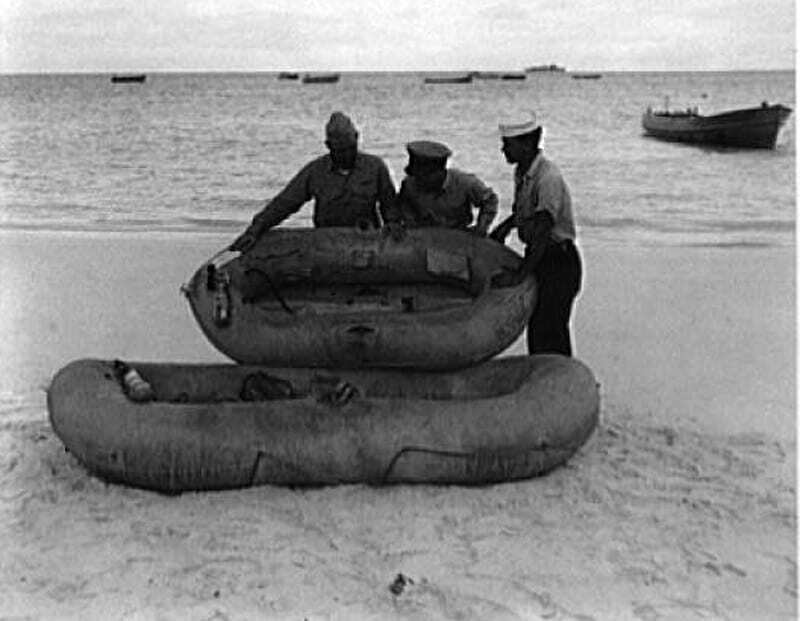 Rickenbacker had managed to carry a 60-foot rope out of the B-17, and the men used it to secure the three rafts together. What happened next was a 21-day epic of survival. Jammed into rafts barely large enough to hold them, the men suffered extremes of broiling hot days and freezing nights. Seawater regularly sloshed into their craft, adding to their agony. Their weight plummeted. Rickenbacker ultimately lost 80 pounds. Sgt. Kaczmarczyk suffered a relapse. His condition worsened and on the 13th day, he died and was buried at sea. Rickenbacker had been placed in charge of the oranges. He made them last six days. On the eighth day, they received a bit of luck when Rickenbacker captured a sea gull that landed on his head. The men feasted on the raw flesh and bone. The intestines were used as bait for the fishing lines and hooks stored in the life rafts. They got much needed water from a squall, which they carefully husbanded. The men feasted on the raw flesh and bone. The intestines were used as bait for the fishing lines and hooks stored in the life rafts. They got much needed water from a squall, which they carefully husbanded. The stress of their situation saw morale among the men plummet. Keeping everyone’s spirits up became Rickenbacker’s main task. On the 17th day, they spotted a Kingfisher scout plane about five miles away. Despite efforts to catch the pilot’s attention, the plane flew away without spotting them. Two scout planes were spotted the next day, and four more the day after that. But the aircraft all flew away without seeing them. On the 20th day, a majority felt their chances of rescue were better if they split up. Cherry had made a similar attempt earlier, but current and wind had forced him back. With Rickenbacker’s reluctant acceptance, Cherry left in the smallest raft, and two others paddled away in a second, leaving Rickenbacker, the injured Adamson, and semi-conscious engineer Pvt. John Bartek alone. On the afternoon of their 21st day at sea, Kingfishers found Rickenbacker’s life raft. Though it was dark before a rescue could be affected, the men’s ordeal was finally over. Rickenbacker soon learned the others had been rescued as well. News was flashed back to the States, to the relief of the nation. Rickenbacker insisted on continuing his mission after he recovered, and was given permission to do so. On Dec. 19, the War Department held a press conference in Washington, D.C. where Rickenbacker detailed his experience.